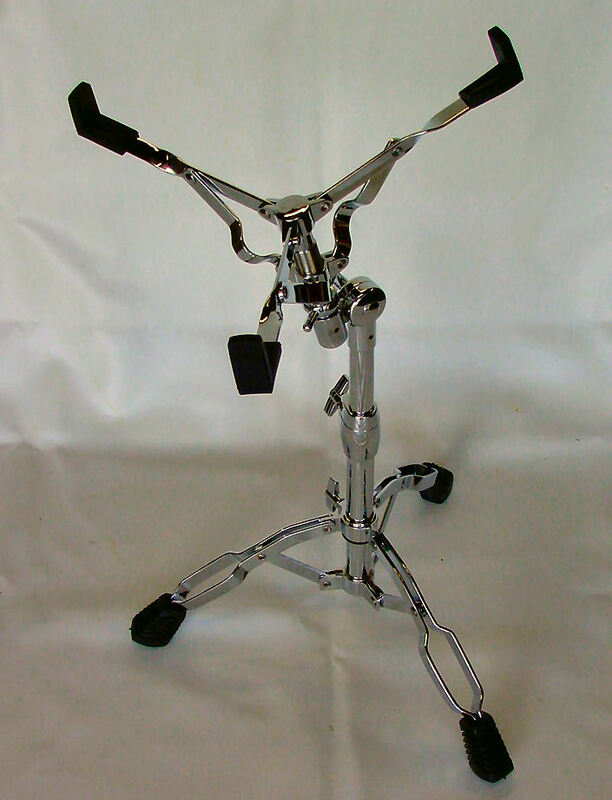 Pro series double braced snare drum stand, gear tilter basket fits snares from 10" to 14" Ultra grip wingnuts, Oversized rubber feet. Completely adjustable with interlocking memory lock. Strong enough for any type of gig.